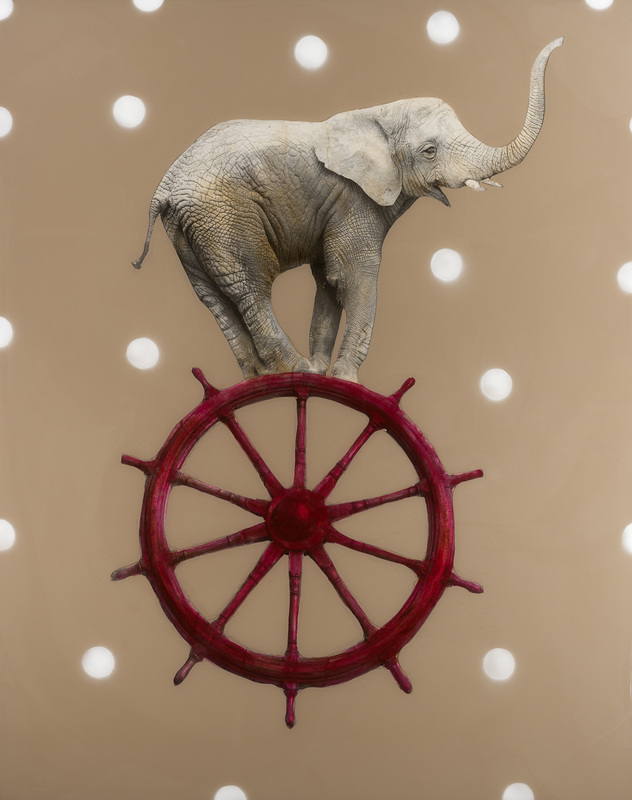 Anke’s whimsical work Red Shipwheel paints a light-hearted, joyous portrait of an elephant over a vibrant crimson shipwheel. Anke infuses the composition with photographic detail, and balances it with a caramel abstract background. The soft, powdered white bokehs give the work a dream-like quality that complements the whimsical nature of the portrait. To view more of Anke’s work in person, contact the gallery nearest to you.